Is the missile of supersonic quicker cruise of the world and it was thrown from earth India. The projectile was developed by India in union with Russia, military ally of the Asian country. The Indian Research and Development Organization recently confirmed the news. The launching has been carried out from Odisha tests polygon, on May 21 2018. 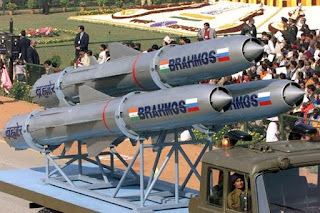 The news was informed this week, according to an official statement the Indian Research and Development Organization, subordinated to the Indian Ministry of Defense, the country has completed this Monday with success a test of real fire of BrahMos, a supersonic cruise missile of quicker of the world. The launching has been carried out from Odisha tests polygon, on May 21, 2018, in the eastern region of the Asian country, and it is part of the lifespan extension program of these types of missiles developed by the mixed Russian-Indian company BrahMos. It is a cruise missile of two stages. In the first one, the solid fuel gets an impulse to supersonic speeds, after that it discouples. The missile reaches up to 290 kilometers and it maintains the supersonic speed during the whole flight. As it was informed it is at the moment world’s fastest cruise missile in its operative class and it weighs 2,5 tons. It can reach a speed of Mach 3, three times the sound speed. Also, its flight roof reaches 15 kilometers and its minimum height is 10 meters, it can carry a non-nuclear warhead from 200 to 300 kilograms and it has the same configuration for the terrestrial, marine and submarine shuttles. In accordance with the information revealed by the Indian Research and Development Organization, the high precision missile flew following the programmed route and its key components acted without any inconvenience. The report specifies that the launching was carried out from bowed pitchers with the presence of experts from the Indian Research and Development Organization and the combined Russian-Indian company BrahMos Aerospace. The Indian Ministry of Defense argued in its report that the biggest success in the launching is that it can help to significantly reduce the cost of replacing the missiles in service in the Indian armed forces. Nirmala Sitaraman, Indian minister of Defense congratulated DRDO and of BrahMos Aerospace saying that it will allow reducing the costs of the substitution of the missiles used in the Armed forces of India.